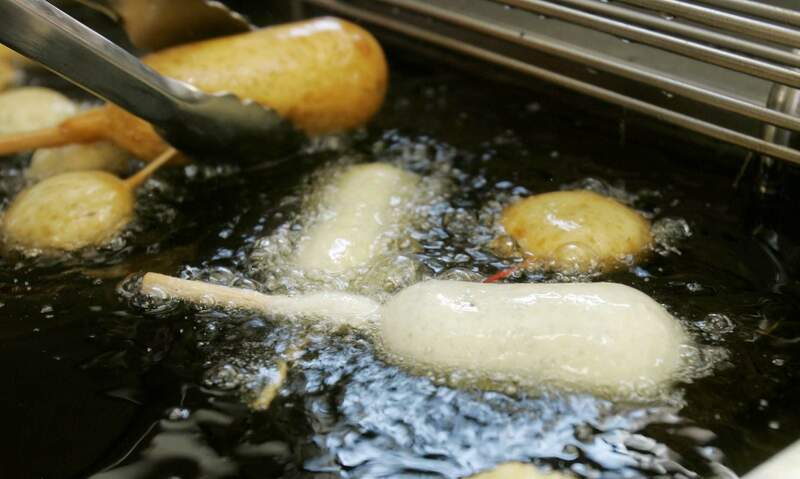 A Milky-Way candy bar is deep-fried in oil free of trans fats at a food booth at the Indiana State Fair in Indianapolis. Indiana was the first state to require the switch at its state fair. The head of the World Health Organization called on all nations to eliminate artificial trans fats from foods in the next five years. NEW YORK – The World Health Organization has released a plan to help countries wipe out artery-clogging trans fats from the global food supply in the next five years. In a statement, the U.N. health agency said eliminating trans fats is critical to preventing deaths worldwide. WHO estimates that eating trans fats – commonly found in baked and processed foods – leads to the deaths of more than 500,000 people from heart disease every year.